What could I say about Granville? This set looks as Shabby Chic at it seems. It won’t deceive you and will bring a little sunny summer ray to any corner of your home, to enjoy memories of this summer in coming winter. 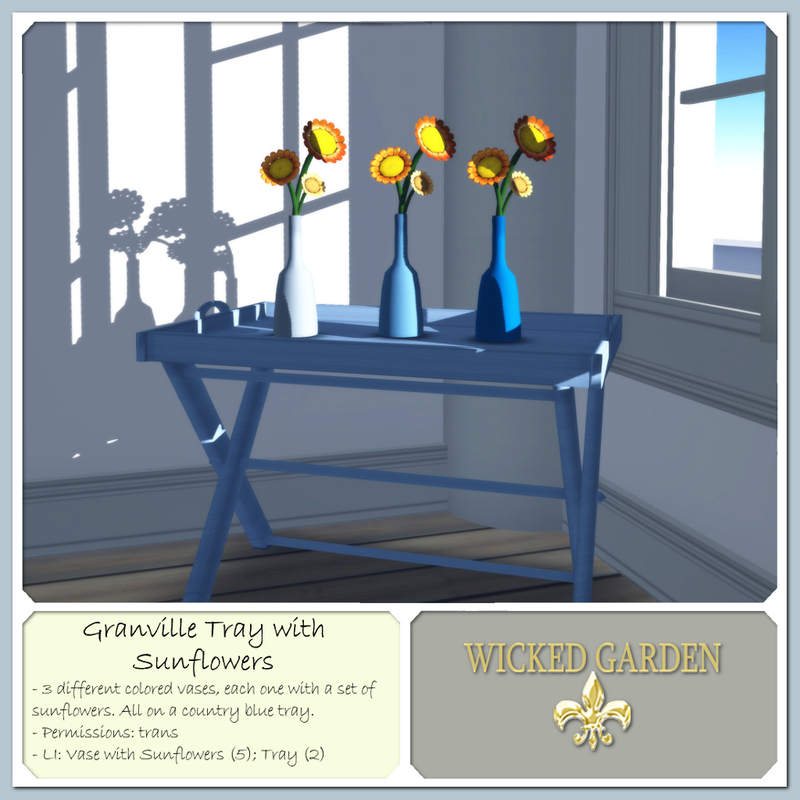 It will be the perfect decoration for any beach inspired building, home, skybox and even shop, and of course your wicked garden. Three bottles white, light blue, and blue on a darker fresh blue tray. 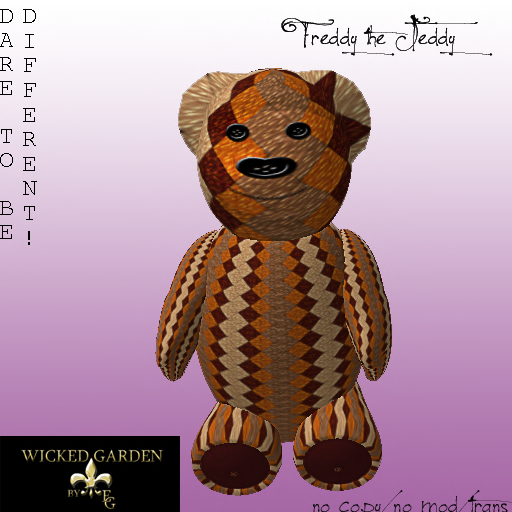 Everything can be used separately, come and grab yours and be wicked. 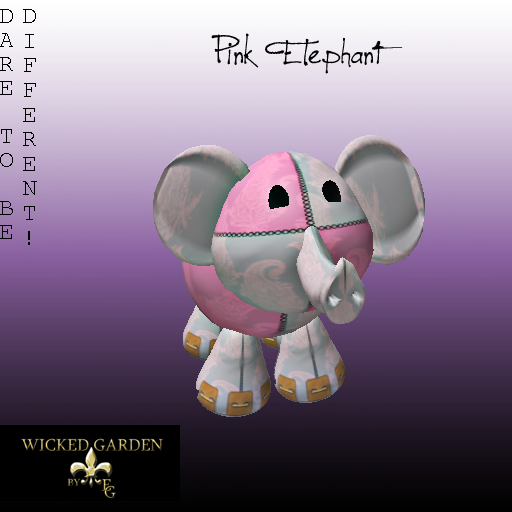 Freddy the Teddy, Pink Elephant, Belle! Only for a limited time! 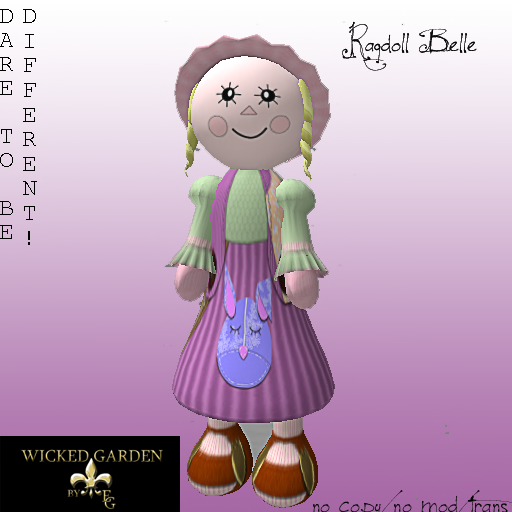 *Wicked Garden* in the Mutual Attraction HUNT! Happy Valentine and good hunting! 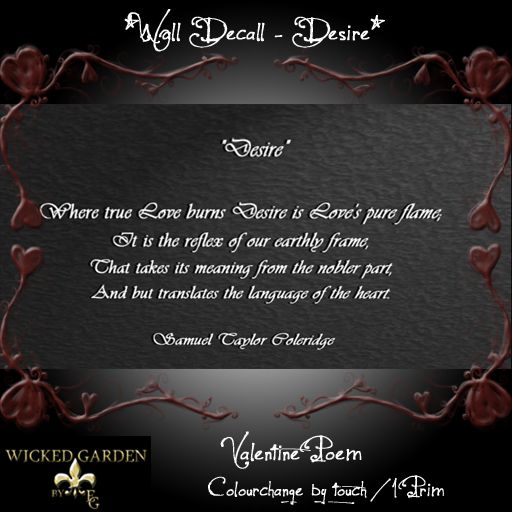 Just in time for Valentine we released new Home Decorations. 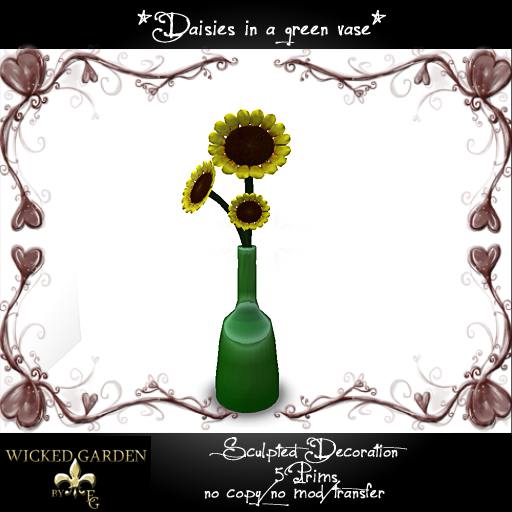 We are proud to present you the *Wicked Garden* Daisies in colourful vases. These vases are a lovely sculpted decoration for your beloved home. They bring the spring into your home and help you to create a happy atmosphere. They are transfer for easy gifting.